Diodia teres large plant. © Copyright Bobby Hattaway 2011. Discover Life. discoverlife.org (Accessed 3/2018). 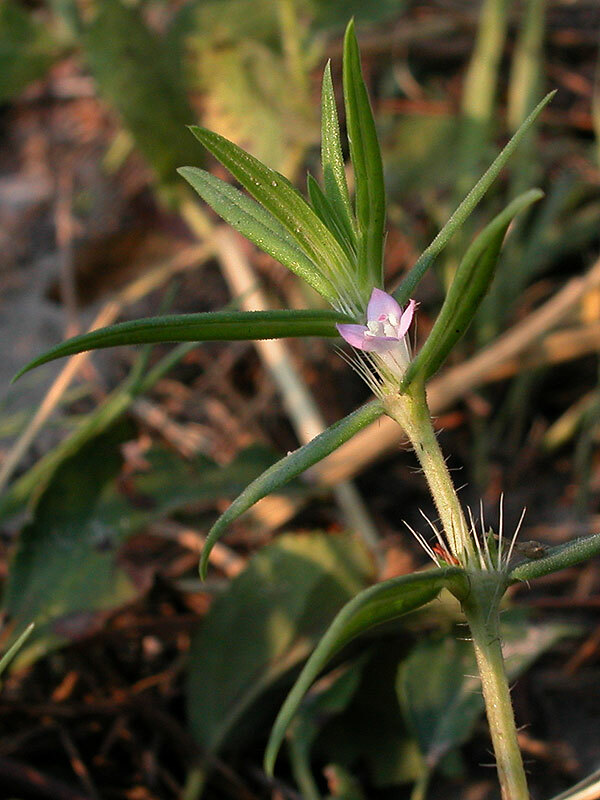 Diodia teres is an annual herb from a taproot, often sprawling, stems 20-80 cm long, 4-sided, hairy, rough-textured, often reddish in full sun; stipules between leaf bases with 5-8 reddish bristles to 1 cm long. Diodia teres plant in bloom. David G. smith. Delaware Wildflowers. 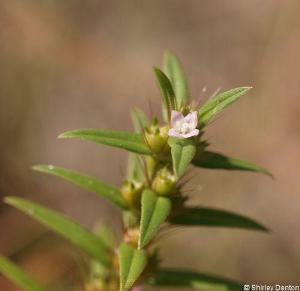 delawarewildflowers.org (Accessed 3/2018). 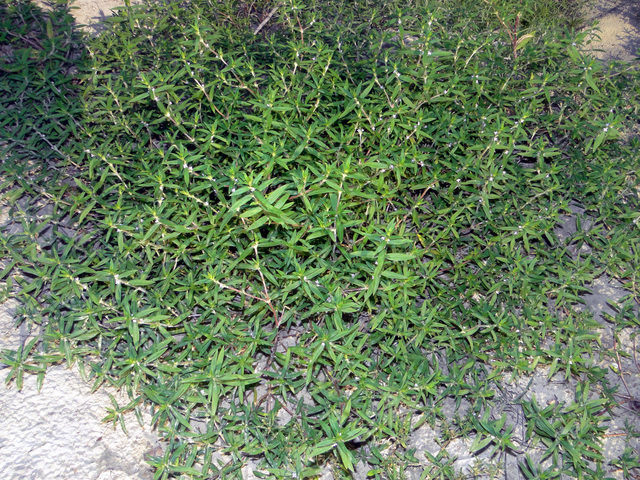 Leaves opposite, 2-5 cm long, 0.6 cm wide (Yatskievych 2006), narrow, stiff, sessile, bristle-tipped,. Diodia teres flower. David G. smith. Delaware Wildflowers. 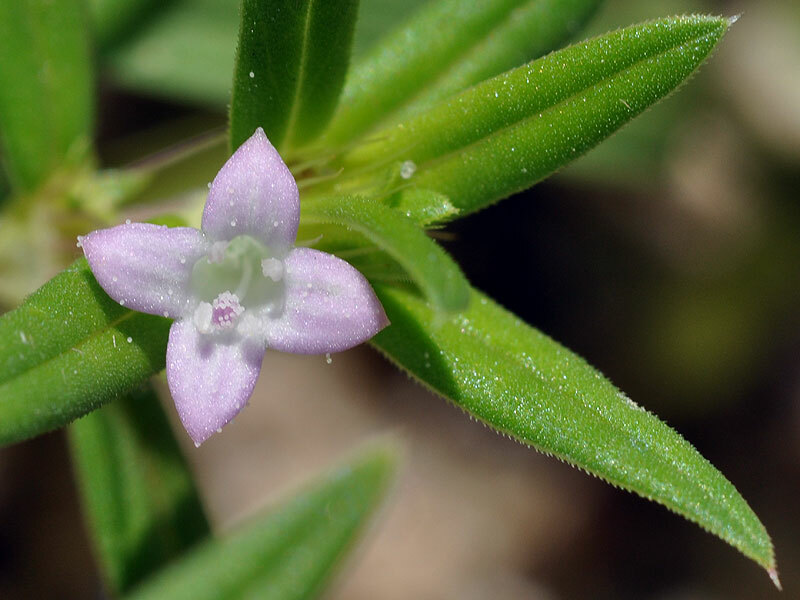 delawarewildflowers.org (Accessed 3/2018). Flowers white-purple, axillary, radially symmetrical, tubular, petal tube 4-lobed, 0.4-0.6 cm long; in upper axillary clusters of 1-3. Diodia teres fruiting stem. Copyright by- Shirley Denton Ph. D. The Institute for Regional Conservation, Delray Beach, FL. http///shirleydenton.com (Accessed 3/2018). Fruit eventually dry, 0.3-0.6 cm long, round, hairy, tipped by persistent sepals, splitting into two nutlets. Habitat: Open, dry sand, soil, or fill, disturbed sites.